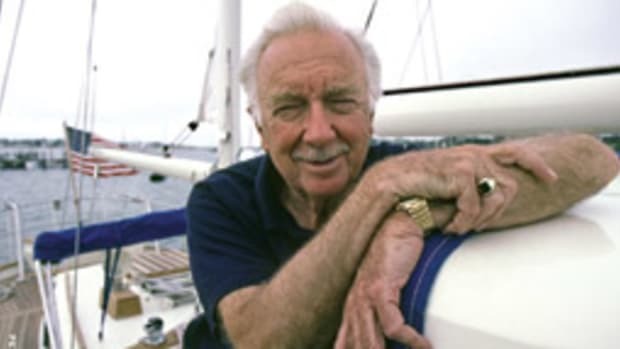 Michael Richey, the intrepid solo sailor and master navigator who crossed the Atlantic alone 13 times in his 25-foot folkboat Jester - the last time at age 80 - died Dec. 22 at his home in Brighton, England, of a heart attack. He was 92. 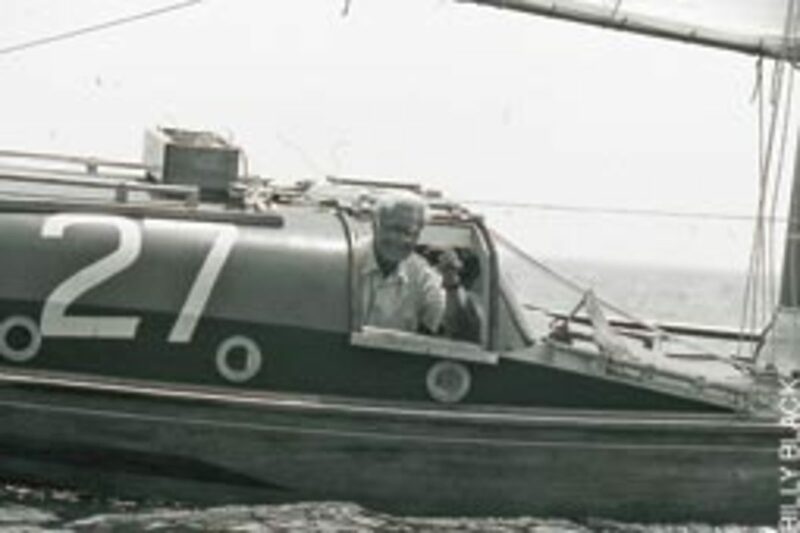 Richey bought Jester, a carvel-built wooden boat with a junk rig and no engine, in 1964 from Blondie Hasler, co-founder of the OSTAR single-handed trans-Atlantic race, after the race&apos;s second running. 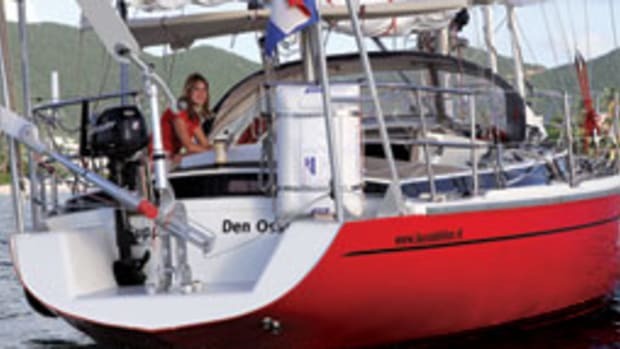 Richey sailed a Jester in every OSTAR from 1968 to the millennium - often finishing last, as the event evolved from a single-handed challenge for amateur adventurers into a contest for big, fast multihulls. 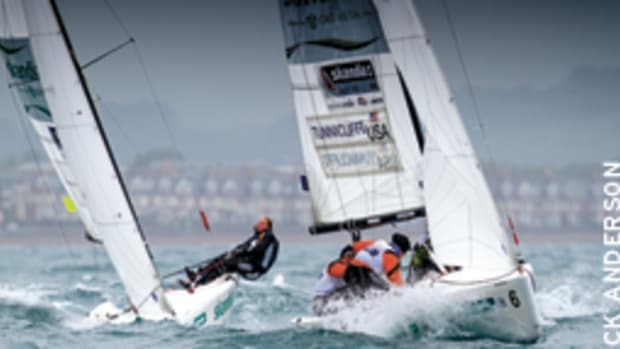 Richey didn&apos;t care where he finished in the fleet because his passion wasn&apos;t for racing but for sailing alone, and even more for the art of navigating the traditional way - sticking his head out of Jester&apos;s hatch and sighting on the sun, moon and stars with a sextant, says friend and yachtsman Nigel Rowe. "The thing that he enjoyed was the sailing and the navigation, and he didn&apos;t care a stuff if he finished last, which he often did," Rowe says. "That was not the point of it. He enjoyed the navigation and the solitude." Richey was founding director of the Royal Institute of Navigation, serving in that position from 1947 to 1982. He also was editor of the institute&apos;s Journal of Navigation from 1948-86. Richey&apos;s interests ran wide but deep. Son of a British colonel who served in World War I, South Africa and Albania, Richey attended school in Switzerland and graduated from a Benedictine secondary school at Downside Abbey in England. For a while, he thought he might become a Carthusian monk, but after a short stint as a postulant he turned to sculpture, apprenticing with Eric Gill and volunteering for the U.K. wing of the Catholic Worker movement. Though inclined toward pacifism, Richey joined the Royal Naval Patrol Service in 1939 at the outbreak of World War II. 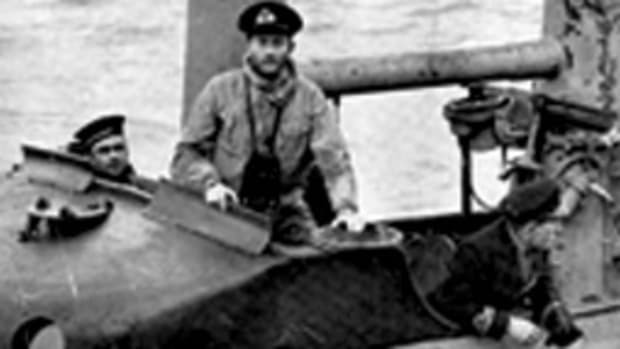 He first served as an enlisted hand on the minesweeper HMS Goodwill, according to a short biography assembled with his personal papers at Georgetown University. Richey&apos;s naval experience was a defining time for him. HMS Goodwill was sunk in November the following year. He survived, went on to get a commission and served on at least eight ships, including one fighting for the Free French Navy. He wrote an article, "Sunk by a Mine," an account of Goodwill&apos;s loss, for The New York Times Magazine. The piece was awarded the Llewellyn Rhys Memorial Prize for Literature. Richey also served for a year on an armed merchant cruiser in the South Atlantic. "This is where my taste for astro-navigation began, because there was nothing else to do. I got myself appointed assistant navigator, and took stars morning, noon and night for about a year," he said in a December 1984 story in "Yachts and Yachting." He went from there to naval navigators&apos; training school, and served as a navigator in the fleet assembled off France for D-Day. "Navigation absolutely fascinated him," Rowe says. "It was during his days in the Royal Navy that he acquired such a deep fascination for it." 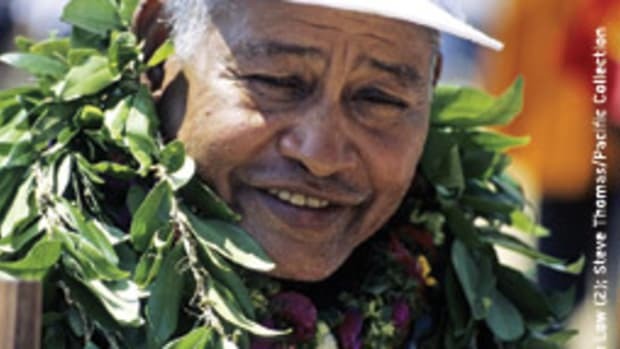 After the war, he was much in demand among ocean racers as one of the sport&apos;s best navigators. Richey&apos;s devotion to Jester was legendary. The boat had been conceived by Hasler as an oceangoing modification of the low-cost, easy-to-sail Nordic folkboat and built in 1953 by Harry Feltham in Portsmouth, England. "[Richey] was joined to the hip of that boat, one to the other," Rowe says. "They were one and the same in many ways. ... Its junk rig was the thing that he had a particular passion for. He found it to be extremely efficient and easy to handle. He knew every inch of the boat. He knew exactly what it was going to do." 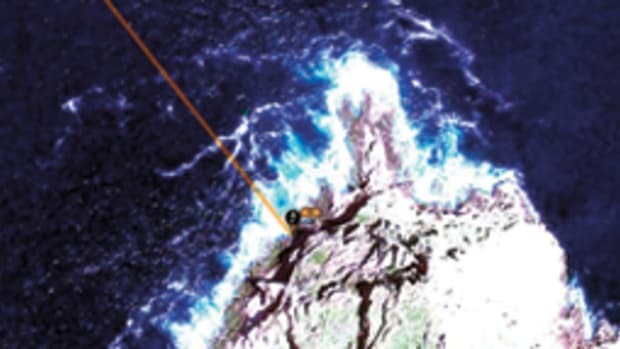 On July 15, 1988, a rogue wave separated Richey from Jester during an OSTAR crossing. The wave "smashed in the superstructure, leaving the boat open to the seas," Richey recounted later. Jester had suffered a knockdown, lost a hatch and began taking on water. 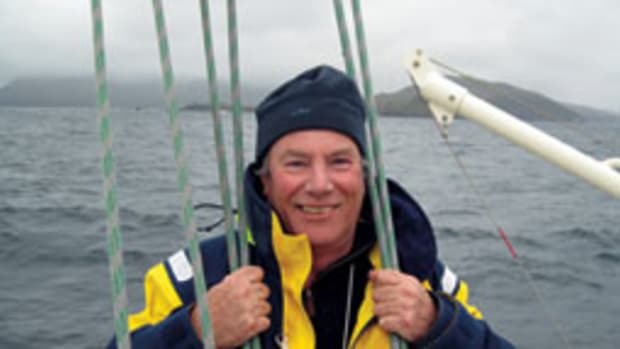 The 60,000-ton bulk carrier Nilam rescued the then 71-year-old Richey 500 miles off Halifax, Nova Scotia, and took Jester in tow, but the damage was fatal. Jester didn&apos;t survive the tow. "For me, it was an occasion of immeasurable sadness, which I found great difficulty getting over," he said. 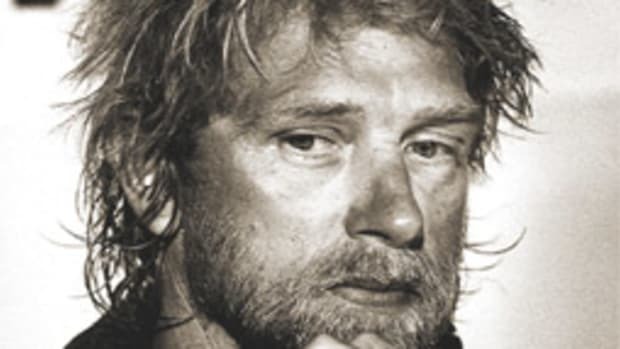 Yachting photographer Billy Black, who would put the solo sailor up at his home in Newport, R.I., when he was in town for the OSTAR, remembers picking Richey up at the port in Newark, N.J., where Nilam docked after rescuing him. "It was really traumatic," Black recalls. "He had to watch through a porthole as Jester [or what could be seen of the sinking boat] disappeared off the horizon." Richey believed in "small and simple, and going about [doing the OSTAR] in such a quiet and unassuming way," Black says. "He&apos;d pull into town [after an Atlantic crossing] and start furling his sails like he&apos;d been out for a day sail. He didn&apos;t care if anyone turned out to meet him." Friendly, helpful and extremely humble, Richey was "very much of a gentleman," Black says. "He was a great guy," an inspiration to those who knew him. Rowe remembers him likewise as one who enjoyed simple pleasures. "When he sailed, all he needed was some good wine, food and a sextant and he was happy," Rowe says. He also was never without good reading, perhaps a book by Joseph Conrad or musings by scholastic philosopher Jacques Maritain. 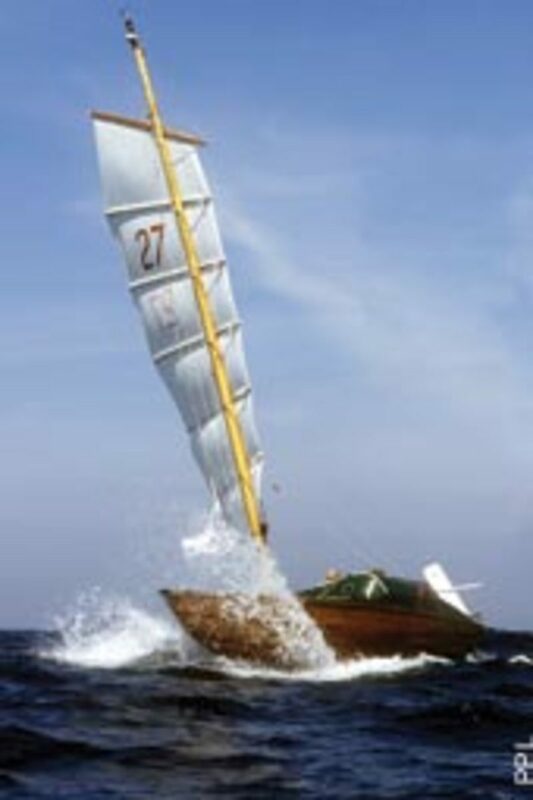 After Jester&apos;s loss, Richey returned to England, where a group of friends and yachtsmen rallied around him, raised money, set up a trust and built a replica of Jester in time for him to sail in the 1992 OSTAR. 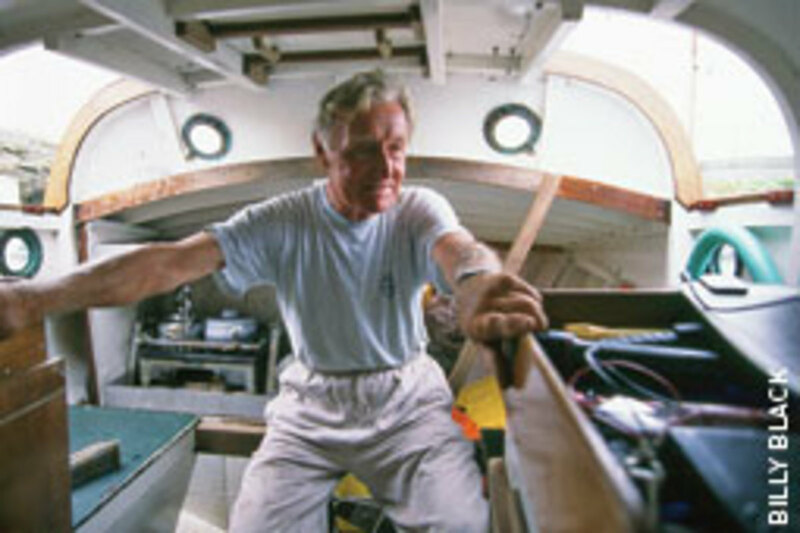 His last trans-Atlantic crossing, in 1997, brought the boat back to England - a voyage he completed at the age of 80 years and 31 days, earning him a certificate from the Guinness Book of World Records for oldest sailor to cross the North Atlantic alone. Richey had come down with the flu just before Christmas, Rowe says. Neighbors had become worried and advised him to call a doctor. When the doctor arrived at the door, Richey opened it and collapsed from a heart attack, Rowe says. People had often asked the single-hander if he wanted to die at sea. "He always said, &apos;Absolutely not. I want to die in bed with clean sheets and a glass of whiskey,&apos; " Rowe recalls. "He didn&apos;t die quite as he would have wished."